A large, antique, circular copper pie dish. This piece is French and it dates from c.1860. 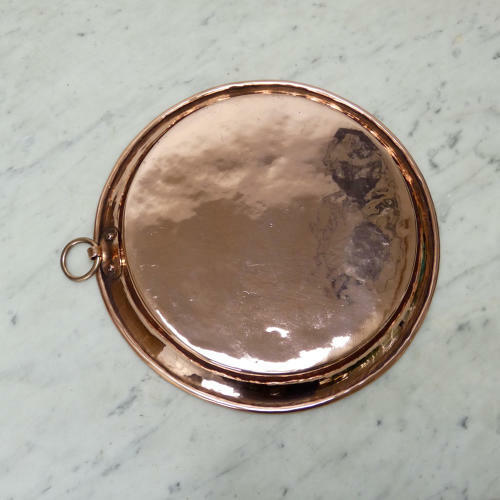 It is made from quite a heavy gauge of copper, it has a wired rim, and it has a substantial brass hanging loop which is attached to the side by a very rustic, copper fitting. There are very minor scratches to the base, from use, but other than that it is in very good condition. The interior has been re-tinned, so that it can be used.